Joined Band belt construction provides increased belt stability, preventing belts from turning over or from coming off of the drive. Unique 60° angle polyurethane construction transmits greater, Loads at higher speeds in less space than conventional V-belts. High Modulus Polyurethane compound resists fatigue, wear, ozone, and most environmental conditions. Precise casting method eliminates layers and overlaps for smooth running and low vibration. Working temperature range : 65oF to +180°F (-54oC to +85oC). 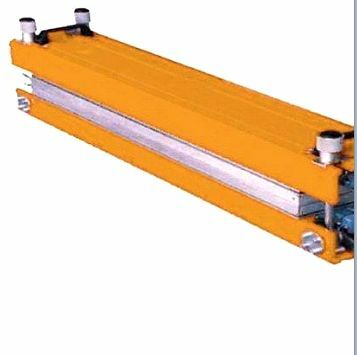 Joined belt construction provides high stability, preventing belts from turning over or coming off of the drive. Belts are available in different Modules 3, 5, 7, & 11.